The popularity of stretching the earlobes to accommodate gauges has led to an increasing number of people who would like to reverse their decision and restore the appearance of their earlobes. Gauged earlobe repair procedures from our skilled plastic surgeon, Dr. Semira Bayati, can successfully address holes and stretching in the earlobes caused by gauges with results that give you a smoother and more natural appearance to the ears. 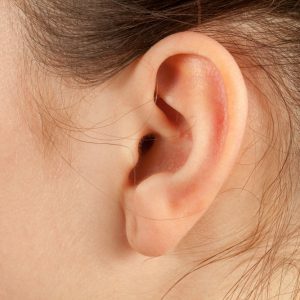 Once a gauge has been removed, the skin of the earlobe has often been stretched to the point that there is a large and noticeable hole in the area. Holes from gauges are typically too big for the skin to reattach itself, so a small amount of reconstructive surgery is often necessary. Dr. Bayati will use the skin surrounding the hole to effectively close it on both sides of the earlobe. Sutures used in this procedure are very small and any residual scarring should be very slight and barely visible. Gauged earlobe repair surgery can usually be performed as an outpatient with a local anesthetic. The entire procedure typically lasts about one hour or less. Results from this procedure often yield very natural-looking earlobes with barely any evidence that the ear had ever been fitted with a gauge. For more information on gauged earlobe repair, or to schedule a consultation here at our practice, please contact Dr. Bayati.